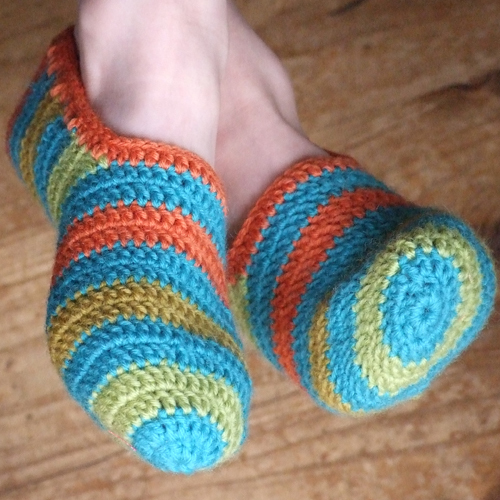 This weekend I finished these crochet slippers for my son Jimmy. We had to spend a little time at the hospital on Friday while he had some day surgery and I found it very calming to work on them in the waiting room. He loves them, and now his brother needs a pair.